The Grand Celebration cruise ship which is part of Costa Cruises is currently undergoing a major upgrade and refurbishment. The Italian based cruise line is investing 4.5 Million Euro’s into the ship. The ship is being serviced at the San Giorgio del Porto shipyard in Genoa, Italy. Even though the Grand Celebration is part of Costa Cruises it is sailing and being operated by Spanish based cruise line Iberocruceros. While the ship is in the shipyard there will be a lot of maintenance done to the ship which was originally built for Costa Cruises parent company Carnival Cruise Lines. The hull will be cleaned and painted which will make the ship look a lot fresher from the outside. Inside the ship just about everything will be improved including decorations, carpets and decor in the public spaces and cabins. The refurbishment is taking place from April 29th 2014 to 17th May 2014. Once the dry dock is complete Grand Celebration will set sail from Valencia on May 18th 2014. 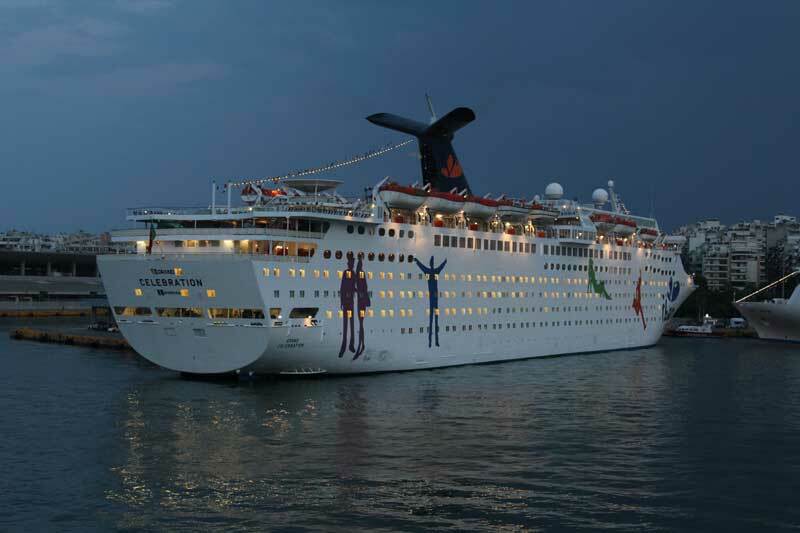 The ship will then do seven-day Eastern Mediterranean cruises from Venice and Istanbul during the summer of 2014.